January, a month for reflection, as we head into a new year. 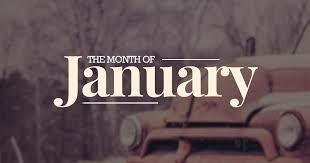 January, the beginning of a new year. The perfect time to start appreciating the lives that we lead, and the blessings that come to us every day. Part of that recognition is appreciating the physical carriage that is our bodies. And preparing to celebrate the year ahead. Celebration of Life Month is the perfect opportunity for you to prepare yourself for the next journey around the sun. Celebrating this important month can be challenging, as we’ve always learned to work. To prepare ourselves for the next step in our growth in careers and life. Celebration of Life month reminds you that you need to take some time to revitalize yourself if you want to experience life to its fullest. Family and friends are an important part of celebrating life, so be sure to take the time to get together with them during Celebration of Life month.